Surprised today by a Car Accident? 1,000 people were. Seattle (ESTRA) - Tracy Morgan's unexpected automobile accident happens more than hundreds of times daily. The range of injury varies, but the traumatic impact can take months or years to recover. Many times, this can feel like a personal journey that many face alone, confused, and are attempting to navigate the Auto Insurance, Employer ERISA Benefits, Social Security Disability, or Long-Term Disability Claims Process with little guidance, relying on the same people who have an interest to reduce or eliminate their claim. All of this is happening while trying to recover from injuries, car loss, and the impact this situation has cause on other areas of your life. The impact of a Car Accident can be harassment. The good news is that many people have actually gone through this process and overcome the many obstacles. And, I can personally say, the key is not to give up hope, even on darkest of days. For once, you have live through one of these hard times, and can recall when other dark days follow. The learning curve can be steep when not familiar with what to expect, especially when not knowing how to protect yourself through becoming best advocate. Car Accident Education allows you to come out of these circumstances stronger from the wear and tear, standing your ground for a fair and equitable settlement, whether received or not. Yes, when speaking truth to power, the outcome is not necessarily favorable to those on side of truth, at least in short run. However, when people choose to take their dollars to companies who consider "good faith" practices more important than investors dividends for this same period, corporations will consider their options more closely. Many individuals and family due to loss of income, physical limitations, going without basic necessities, are struggling to hold on to what they have accumulated. Some Auto Insurance Companies recognized the financial instability many of the injured face and still decide to "hold out" on paying out claims in order to break them down, and improve their own bargaining position. This leaves many families devastated and willing to accept lower payout claims in order to stop financial hemorrhaging and emotional losses. Many of these people leave the Auto Insurance Claim disillusioned. ERISA Benefit Claims are no better for those expecting help from their Employers ERISA Benefit Plans. Many of these corporations end up paying out only 20% of the actual value of claim. They also require Long-Term Disabled Employees to file for Social Security Disability. Since most are not approved, they look to this as an "out" not to pay claims. However, if approved, they still may attempt to get out of it by including a clause in policy which states they do not consider disability if after two years their employee can be considered able "to do any job". Most disabled people find this ploy to get out of paying offensive and deplorable. Although Social Security Disability requirements are more stringent than those by private companies, these organizations with the help of Congressional Legislation, tend to find ways not to pay their employees. This is the reason ERISA Legislation needs to be changed. In my opinion, the lobbyist did their work well on behalf of corporations. The laws were suppose to protect the sick or injured, but in fact, protect corporations. Auto Insurance Companies & Employers Surveillance is common. How can you try to limit the impact of a car accident? By preparing a budget and sticking to it on a regular basis. Evaluate whether medical test are needed immediately or can wait until you've saved up enough money to avoid additional debt. Recognize the amount available for care is not limitless, and may need additional medical services in the future. Also, health services might not be covered, therefore it may be necessary for you to fit the bill. Furthermore, those injured may end up loosing job if unable to return. This could mean months without income. In addition, those Auto Insurance or Employer Benefits may not last for long. Fortunately, most can apply for Obamacare and not have to pay the excessively high cost of COBRA, which means paying the same full price Employer pays for Employee Benefits. Of course, many employees cannot afford to pay this cost. Especially without income. Take a look at your life, immediately after being involved in a auto accident, start to cut back immediately. You may initially receive benefits. However, as times goes on, these benefits have been known to stop. Again, the goal in my opinion is to get you to settle well below value of claim. Therefore, get ready to live frugally for quite some time. This will also allow time to prepare a plan to get through hard times. Be determined. Do not give up. There is plenty of information on what can be experienced after filing injury claims. Begin to learn License Plates if dealing with harassment. 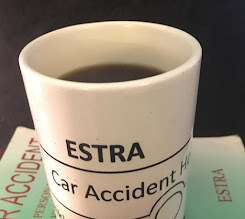 Book Car Accident by ESTRA and 2014 Car Accident Weekly Planner can help learn what to expect and how to prepare for life after personal injury. The more you know, the better able to stand against "bad faith" practices, or at least recognize them and the corporations who participate in this behavior. 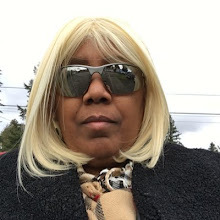 ESTRA Car Accident Surveys. You Matter, So Do Your Concerns.